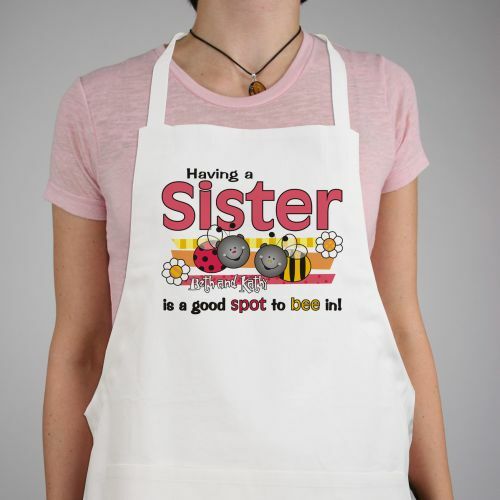 Bee Together with your sisters as you prepare a wonderful family meal with everyone decked out in their Sisters Personalized Aprons. Each Custom Printed Sister Apron is uniquely personalized with your sisters names. This Personalized Chef Apron makes a wonderful gift for birthdays or just because. Personalized with up to 6 Sisters Names.